Along with finishing up the requirements for her associate’s degree in Veterinary Technology and preparing to enter COLSA's four-year Animal Science program, Madysen Delosh '19 also finds time to teach people how to sail. It’s a near life-long passion for this Boston, Massachusetts native who says she’s been sailing since she was 7 years old. Madysen Delosh: During my time at UNH, I feel proud about everything I have accomplished. I have become President of the UNH Veterinary Technology Club, Secretary of the UNH Sailing Team, and have become a skilled Veterinary Nurse. I am proud of my schoolwork, the friends I have made and competing in college level regattas - and coming in first in multiple. I am also glad I got involved and have completed outing club trips such as white water rafting in Maine and the Alternative Break Challenge (ABC) during spring break. The ABC trip was involved with Habitat for Humanity, and we worked on building houses for low-income families for the length of spring break in South Carolina. It was a lot of fun and really rewarding. Delosh: I am motivated by my desire to learn and succeed, my family and my passion for the field I am in. Delosh: I went to Norfolk County Agricultural High School, where I majored in veterinary science. During high school my love for animals and the medical field grew, which guided me in choosing my major. During high school, I completed an internship at the New England Wildlife Center, which gave me insight on what being a veterinary technician was truly like and I fell in love. Delosh: Focus on your study skills because this major is intense but rewarding. It requires a lot of hard work but if this field is for you, you can do it. And get involved! The more you do, the better you'll be. Get involved on campus through clubs and teams, in your major through vaccine clinics or speaking up and trying new tasks! Delosh: I am planning on getting my bachelor’s degree in Animal Science with a minor in education. 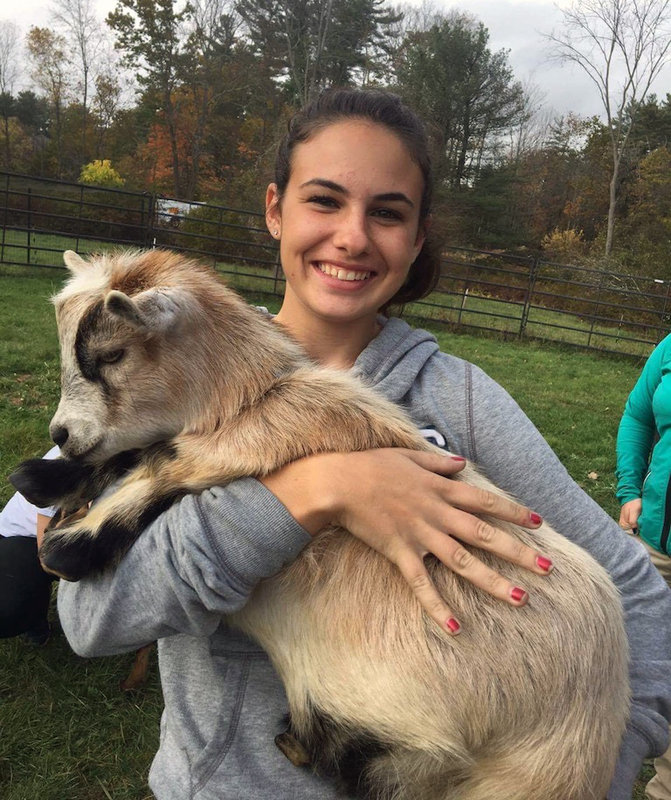 I want to become an animal science teacher at my high school while working at the MSPCA-Angell in Boston. Delosh: I’m being challenged daily - both in the classroom and outside the classroom. The professors push you to be the best you can be, and I have made connections to multiple animal hospitals through our internships. I have already interned at the MSCPA-Angell and have been offered a job when I graduate in May. Delosh: I love the campus, being able to race competitively on my sailing team, my professors and all my friends.